Just when I thought I was over beauty boxes, I heard that Birchbox had teamed up with the quintessentially British magazine that is Tatler to produce a limited edition Birchbox. In conjunction the magazine’s ‘Best of British’ supplement, and chosen by Tatler’s Beauty Editor Francesca White, the new Birchbox is teaming with British brands and some of my very favourite products too! If you’re new to Birchbox (I am!) then i’ll give a brief explanation as to how it works. 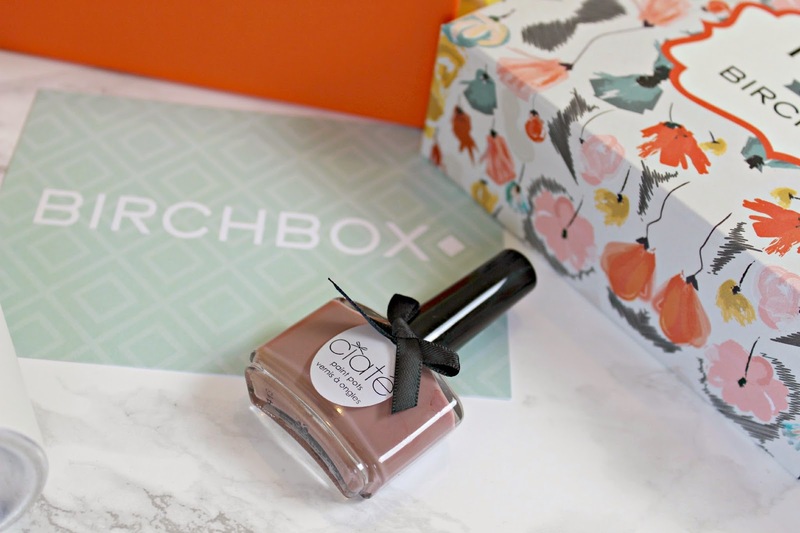 You can sign up, or subscribe to Birchbox for just £10 a month, and then every 30 days you get a box of new goodies to try out, specifically chosen by the beauty experts at Birchbox. The boxes contain luxe sample sizes (and sometimes full size products too!) of specially selected products – even sometimes new launches – so that you can try them out without committing to the full size product. 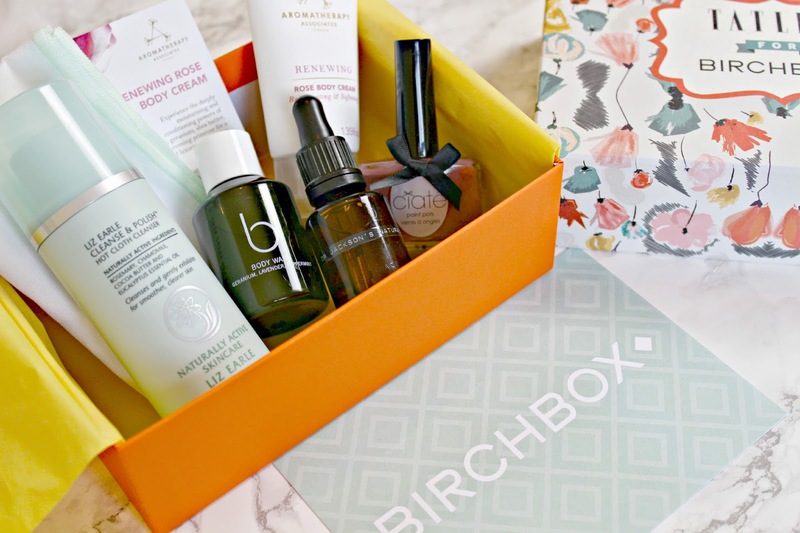 You can then even purchase the products from the Birchbox website when you find something you love. 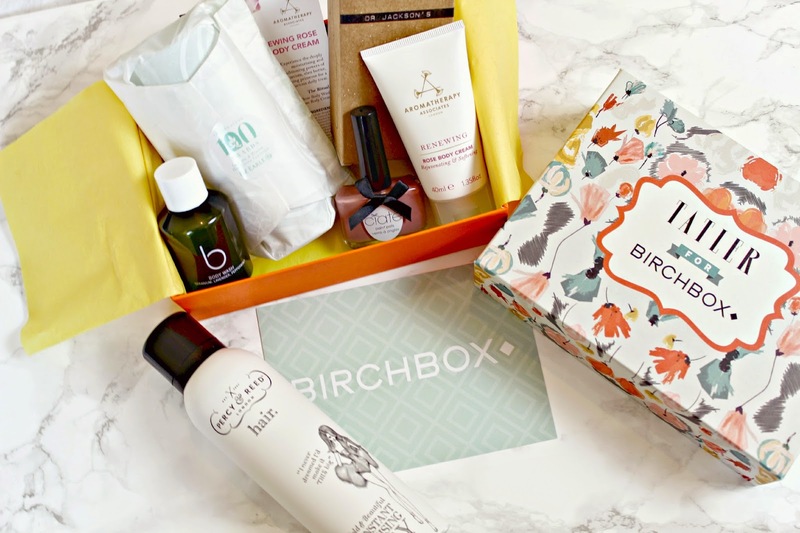 With the Tatler Birchbox, it’s a limited edition so you can buy this box for a one off cost of £25, with the products within the box worth well over £60! Ok so onto the fun bit – what’s inside?! Firstly, an incredible introductory offer for a year’s subscription to Tatler for just £12 – including iPad and iPhone editions! I’ve already signed up to this – such a fantastic offer! But what about the makeup products I hear you ask! Well, hands down this has got to be my favourite beauty box, ever. All homegrown beauty brands ranging from my absolute favourite, Liz Earle, to brands which are new to me, Dr Jacksons, all the goodies are the Best of British, and oh wow. There’s some good un’s! There’s the Aromatherapy Associates Renewing Rose Body Cream, one which Ive tried before and absolutely melt as soon as I get a hint of the indulgent fragrance. It’s a rich blend of rose, shea butter and evening primrose, and the 40ml sample is ideal for popping in an overnight bag or even to pamper yourself after the gym. From Somerset we have Dr Jackson’s Natural Products Face Oil – I am literally obsessed with using face oils ever since I was introduced to them about a year ago by the lovely team at Darphin, and this one is 100% natural and packed with antioxidants – perfect for pampering in the morning and evening after cleansing to really nourish and treat the skin. All the way from The Cotswold’s there’s the Bamford Body Wash – I was fortunate enough to try out this a couple of weeks ago, and can confirm that it is THE BEST smelling body wash ever. It gets really foamy and lathery which I absolutely love – it turns a normal shower experience into a pampering treat! I can’t even talk about anything else until we address the elephant in the room. Yep. There it is. My newly crowned Best Cleanser Ever. The Liz Earle Cleanse and Polish Hot Cloth Cleanser and Muslin Cloth set. If you read my review of C&P then you’ll know that this will have absolutely made my day when I opened up the lid to see a travel size bottle of the cult favourite. Something else that got me really excited was the Ciate London Paint Pot which I received in the colour Maybe Baby. It’s such an elegant, classic shade and I’ve recently even really impressed with Ciate’s offering – the pretty bottles are a treat to look at but also the formula glides on beautifully and I find them to be fantastically long lasting. Last but not least, a full size bottle of Percy & Reed London Big, Bold and Beautiful Dry Instant Volumising Spray. I’ve only just really started playing around with volumizing products so don’t have much to compare it to, but so far I am absolutely loving the lift and scent which this gives my locks after a day of being tied back in a pony! Overall, I am blown away by how fantastic this beauty box is. There’s not one thing that I’m not excited about and I can’t wait to see what the monthly boxes have to offer too! You can buy your Tatler Birchbox here. Previous Post My Copper Home Wishlist!